Perfect to embrace the season's metallic trend, this Ralph Lauren cream and gold metallic tote is pretty awesome--great for all your casual carrying needs. Measuring at 12" X 12". 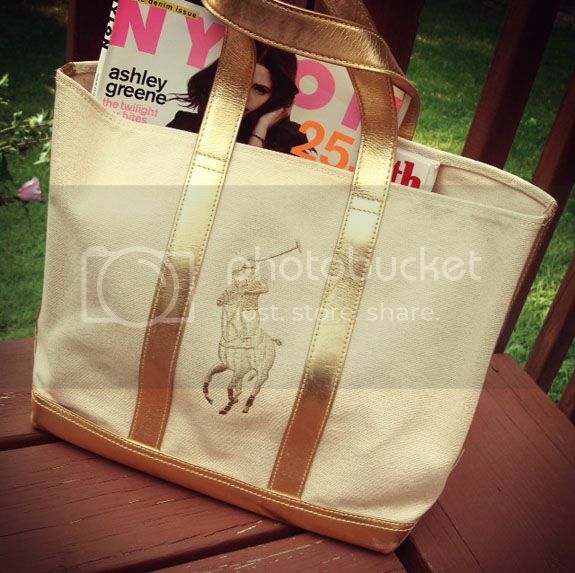 This tote was only worn once for a couple hours, it's super clean and in great condition. Priced at $10.